Environmental Engineering: Principles and Practice is written for advanced undergraduate and first-semester graduate courses in the subject. The text provides a clear and concise understanding of the major topic areas facing environmental professionals. For each topic, the theoretical principles are introduced, followed by numerous examples illustrating the process design approach. Practical, methodical and functional, this exciting new text provides knowledge and background, as well as opportunities for application, through problems and examples that facilitate understanding. Students pursuing the civil and environmental engineering curriculum will fi nd this book accessible and will benefit from the emphasis on practical application. The text will also be of interest to students of chemical and mechanical engineering, where several environmental concepts are of interest, especially those on water and wastewater treatment, air pollution, and sustainability. 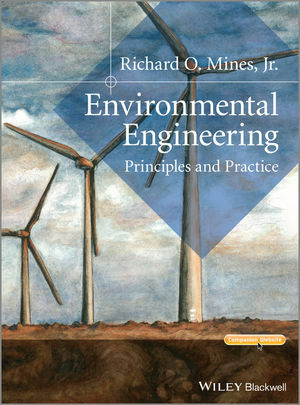 Practicing engineers will find this book a valuable resource, since it covers the major environmental topics and provides numerous step-by-step examples to facilitate learning and problem-solving. There is also a companion website with illustrations, problems and solutions.